When PayPal updated its user agreement earlier this month, people were pissed off. The agreement left people with two options: Agree to receive robocalls from PayPal, or stop using the service. Now the company is back-pedalling on the whole “deal with our obnoxious, aggressive automatic calling or GTFO” policy. “We will not use autodialed or prerecorded calls or texts to contact our customers for marketing purposes without prior express written consent,” the new user agreement language reads. 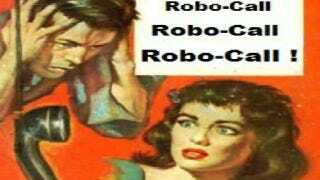 It also allows customers to keep using the service even if they opt not to receive robocalls. As the Washington Post’s Brian Fung points out, this is a major attitude adjustment from everyone’s least favorite online payment company. That’s a significant turnaround from its previous proposed revisions, which required that all customers agree to accept robocalls if they wanted to keep using PayPal. The proposal sparked letters from concerned lawmakers and even the Federal Communications Commission, which has strict rules about robocalling and telemarketing. PayPal adorably framed these changes as a way to “clear up confusion” and not as a way to avoid the ire of the FCC.